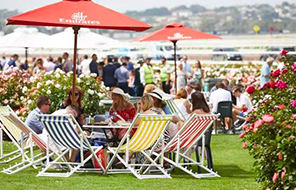 The Festival Of Racing in Melbourne has its famous staples every autumn but another course was added to the already sumptuous menu in 2019 and didn’t the patrons woof it down. 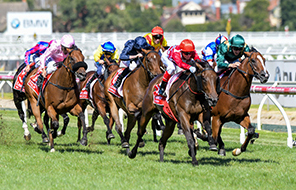 March racing began with a bang with the running of the Australian Guineas at Flemington with the result – where Tasmanian filly Mystic Journey overcame the colts to score – had an almighty impact on the exciting new addition to the autumn – the $5 million All Star Mile. 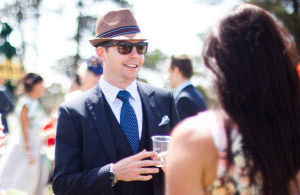 With the Australian Guineas being run two weeks before the All-Star Mile over the same 1600 metre course, the winner was always going to demand a spot in the inaugural All-Star Mile field via one of the four wildcards that Racing Victoria was charged to hand out. In fact, so highly was the Australian Guineas rated both Mystic Journey and the runner-up Hawkshot were invited to take part in the new race on March 16 where 10 of the 14 spots in the race had already been decided by public vote. But Mystic Journey did not just take a spot, she wound-up thrashing some of the best older horses in the land with her most immediate scalps Hartnell (second) and Alizee (third) heading a star-studded line-up. Instead of chasing more riches in Sydney, connections decided to send her immediately to the paddock to be prepared for next spring’s Cox Plate. Officials would have been delighted with a deserving winner of the inaugural race, which was well supported on course with a crowd of about 16,000 and off course with increased betting figures. But the race may now become part of the Mystic Journey story as she is expected to be one of the new forces in the elite middle-distance weight-for-age races with the impending retirement of the superstar Winx. Super Saturday on March 9 was highlighted by the record-breaking attempt at a third straight Newmarket Handicap by Redkirk Warrior, but by the end of the day’s racing it was another horse that claimed the glory as a return winner. Harlem was a blow-out winner of the Australian Cup in 2018 at odds of $61 and given he had not run a place in his subsequent eight starts, the $31 on offer in 2019 could be considered a little light. But Harlem once again turned up when it mattered most. The victory was notable for a number of reasons but mainly because it was the first of seemingly many group 1 wins for his classy rider Jamie Kah. The 23-year-old Kah had dominated racing in South Australia for the past two seasons and had topped 700 career winners before making the move to Melbourne earlier this year and she was rewarded for her hard work with a group 1 win to remember. 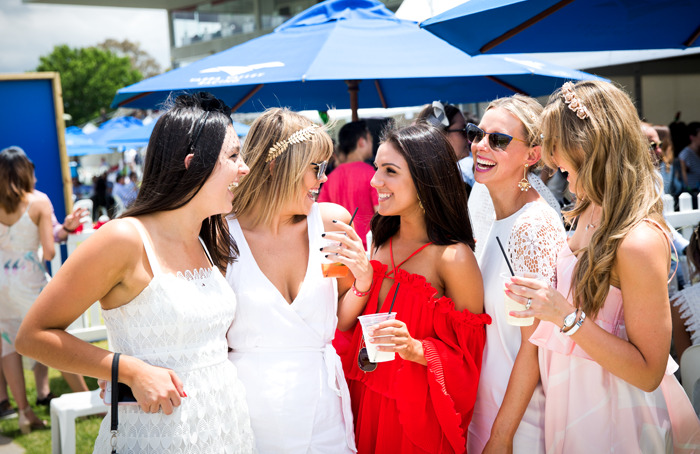 Her performance caught the eye of six-time Melbourne Cup winning owner Lloyd Williams, who booked her for Midterm in the Manion Cup at Rosehill on March 23 and then watched as she delivered the perfect front-running ride. 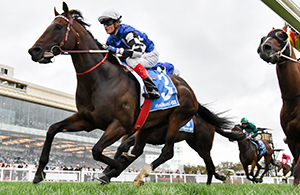 Harlem is part-owned by Hong Kong-based Edmund Lee, who was hoping to see his grand galloper Redkirk Warrior break new ground in the familiar colours of royal blue with white hoops and sleeves by winning a third straight Newmarket Handicap. It was not to be with the English-bred horse who raced in Hong Kong and finally was based in country Victoria at Euroa, retired after eight wins from 24 starts and nearly $2.8 million in stakes earnings. Instead of going to a proven veteran sprinter, Victoria’s most famous sprint race was taken by the freakish three-year-old filly Sunlight, who only months earlier, over the same 1200-metre straight course, beat all the colts in the Coolmore Stud Stakes. She backed up two weeks later from Flemington to score in the final group 1 race of the season in Melbourne when she was simply too quick for her rivals in the William Reid Stakes at The Valley. A winner of 10 of her 15 starts, Sunlight has already won more than $4 million and she can add significantly to that total over the next 12 months as she will be aimed at the two richest races in Australia next season - the $13 million The Everest in October and the $7.5 million Golden Eagle in November – a race open only for four-year-olds. William Reid Stakes night finished on a fine note when the New Zealand mare Consensus took the Sunline Stakes narrowly from the favourite Spanish Reef. The mare is trained by Stephen McKee, who, in partnership, trained Sunline to win Cox Plates 20 years earlier in 1999 and 2000. Best renowned for his exploits over the hurdles, Self Sense managed to impact heavily on the country cup scene in March with his win in the $125,000 Yarra Valley Cup (1950m) at the odds of $26 on March 17 followed six days later with a win on his home track at $12 in the $350,000 Mornington Cup. His dual Cups victory was the highlight of the busy country cups roster in March. Wangaratta staged its $100,000 Cup on March 3 and it went to South Australian trainer Stuart Gower and his emerging apprentice rider Zac Spain aboard Silent Warrior. The consistent Prince Ziggy broke through in the $85,000 Stony Creek Cup on March 10 to the delight of punters as the $2.70 favourite ran down the $81 chance Brigadier, trained by Wayne Walters and ridden by his daughter Kate. The 1400-metre $100,000 Echuca Cup was staged on the same day with the Micks – Price (trainer) and Dee (jockey) combining with Heptagon to claim the race as the $1.90 favourite.